BinMaster and Device Solutions have announced their strategic alliance for remote monitoring with end-to-end solutions for sensor-based networks. The companies have teamed up and designed systems that automate data collection, dissemination, and reporting. Customers across any industry will be able to monitor and manage data from all types of sensors for properties such as level, temperature, moisture, humidity or flow and be alerted when pre-determined thresholds have been met. Other system features include the ability to track assets and automatically optimise routes for delivery vehicles. The backbone of the system is a wireless communication device based upon the Cellio IIoT platform developed by Device Solutions that BinMaster will market as BinCom. Transceivers and gateways send data from sensors to cloud-based application software. The BinMaster BinCom device roadmap will offer a variety of models compatible with Cellular CDMA, Cellular GSM, Wi-Fi, or Ethernet communication platforms. Remote data monitoring can be done via a PC, tablet, or SmartPhone and can be set up to send automated alerts via email or SMS text. Device Solutions has developed flexible dashboards that can be customised by each company, each user within a company, and by the type of sensor data they wish to monitor. 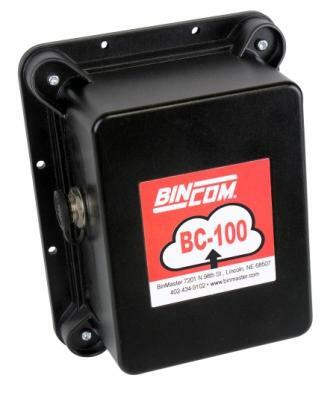 BinCom is compatible with a variety of BinMaster sensors or currently installed sensors supplied by BinMaster or another manufacturer. The standard BinCom interfaces include both Analog and Digital and support 0-5VDC, 4-20 mA, dry contacts, Modbus, and RS-485 outputs.